The Grupa Azoty Group and the National Contact Point for the Horizon 2020 Programme have signed an agreement on close cooperation. The aim of the agreement is to increase the participation of the Grupa Azoty Group, partner companies and research institutions in the Horizon 2020 EU Framework Programme, to lend support in applying for grants, finding consortium partners and implementing projects, as well as in promoting the programme and the Group’s potential. “The signing of the agreement is a very important event, as it opens new opportunities for the Grupa Azoty Group companies, especially in the R&D&I areas, and is consistent with the Group’s innovation programme and mission defined in its updated growth strategy which provides for creating value for the Group and the national economy by delivering safe, useful and innovation-driven chemical products. The Grupa Azoty Group’s strategy focuses not only on extending the value chain in the manufacture of speciality products, but also on adopting new technologies and refining existing processes. I am convinced that cooperation with the National Contact Point for the Horizon 2020 Programme will be conducive to driving innovation at the Grupa Azoty Group,” said Wojciech Wardacki, President of the Management Board of Grupa Azoty. ‘Innovation is crucial in modern chemical industry and it is key to the future of the Polish chemical industry. The Grupa Azoty Group wants to take advantage the opportunities offered by the Horizon 2020 Programme and raise additional funds for investments in research and development. Through the involvement of the Grupa Azoty Group we want to increase the participation of Polish industry in the largest EU Framework Programme. The Grupa Azoty Group companies have already prepared the first drafts of applications for the 2018–2020 calls under the Horizon 2020 Programme. As part of the agreement, representatives of the Grupa Azoty Group, partner companies and research institutions want to participate in info days, training, workshops, brokerage events and study visits organized by the NCP for the Horizon 2020 Programme,” said Grzegorz Kądzielawski, Vice President of the Management Board of Grupa Azoty. “The National Contact Point for Research Programmes of the EU is part of the Institute of Fundamental Technological Research at the Polish Academy of Sciences (IPPT PAN) and for almost 20 years, together with the Network of NCPs, has been actively supporting Polish participation in the European Union Framework Programmes in order to reinforce the position of Polish science and businesses on the international arena,” said Professor Tadeusz Burczyński, Head of IPPT PAN. The institute has once again received the highest scientific category A+ for the next four years. It specialises in advanced interdisciplinary scientific research and is also open to scientific and research cooperation with the Grupa Azoty Group to ensure active participation in the Horizon 2020 Programme. “Let us make the most of the good climate for investments in research and development and the opportunities offered by calls organised under the Horizon 2020 Framework Programme. Over the last three years, the funds available under the Programme amounted to EUR 30bn. The objective of the activities undertaken jointly by the NCP and the Grupa Azoty Group is to use the immense potential of the Group – a leading market player – to increase the Polish industry’s participation in the largest EU Framework Programme. A systematic effort helps achieve the objectives set out in the Sustainable Development Strategy,” stressed Zygmunt Krasiński, PhD. Eng., Head of the National Contact Point for Research Programmes of the European Union. The Horizon 2020 Framework Programme is the largest European Union research and innovation framework programme for 2014–2020. The Horizon 2020 Programme’s budget (close to EUR 80bn) is intended to strengthen the role of science and innovation and their use and application in industry and other areas. The aim of the programme is to ensure that Europe produces world-class science and technology that drives economic growth in the European Union and in countries associated with the programme. 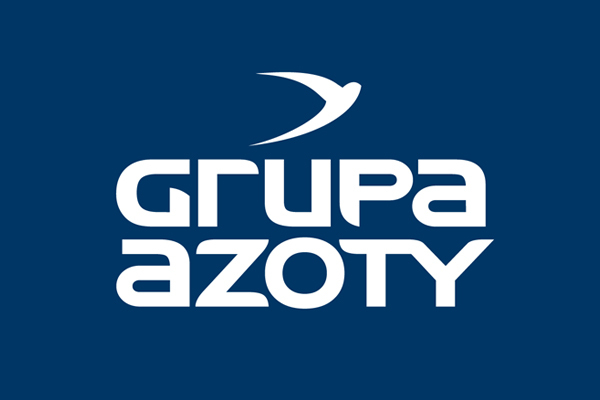 The Grupa Azoty Group is the undisputed leader of the fertilizer and chemical market in Poland and one of its key players in Europe. It is the second largest EU-based manufacturer of nitrogen and compound fertilizers, and its other products, including melamine, caprolactam, polyamide, oxo alcohols and titanium white, enjoy an equally strong standing in the chemical sector, with a wide range of applications in various industries. In May 2017, the Group announced its updated strategy until 2020. The key development areas include finalising the Group’s consolidation, reinforcing its leadership in agricultural solutions in Europe, strengthening the second operating pillar through expansion of the non-fertilizer business, and generating and implementing innovations to accelerate growth in the chemical sector. Photo: Sława Duszyńska, National Contact Point for Research Programmes of the European Union.